The spud-producing sweet potato vine. 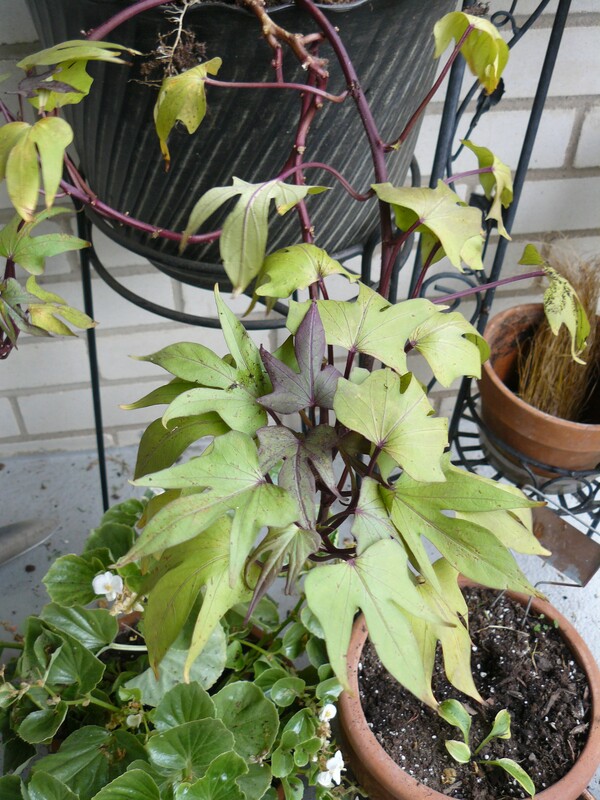 As I was clearing out my exterior containers for the winter, I came across a sweet potato vine (Ipomoea batatas) “potato”. I’ve seen spuds from these ornamental vines before but never thought to try to consume them. I know they are edible but for some reason it seems weird to eat them! 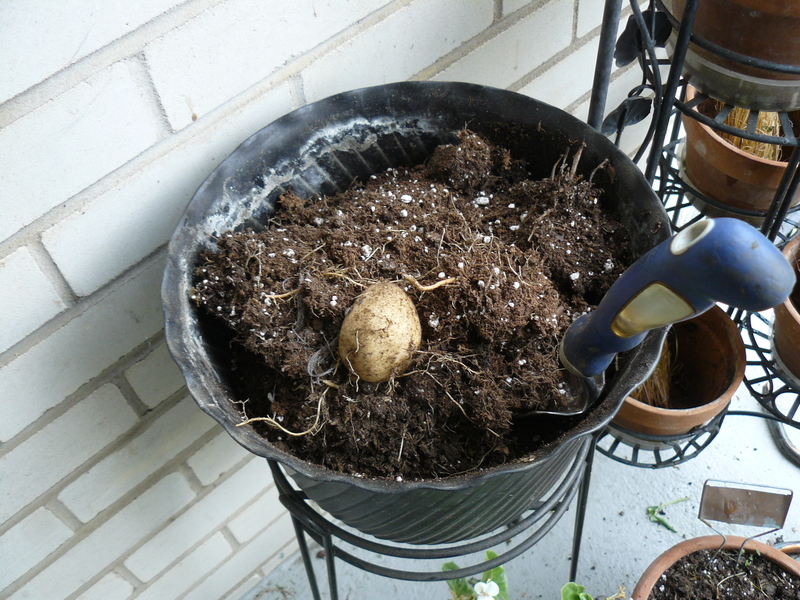 I found the potato, shown above, as I was digging through the potting soil, loosening it up in preparation for spring planting. 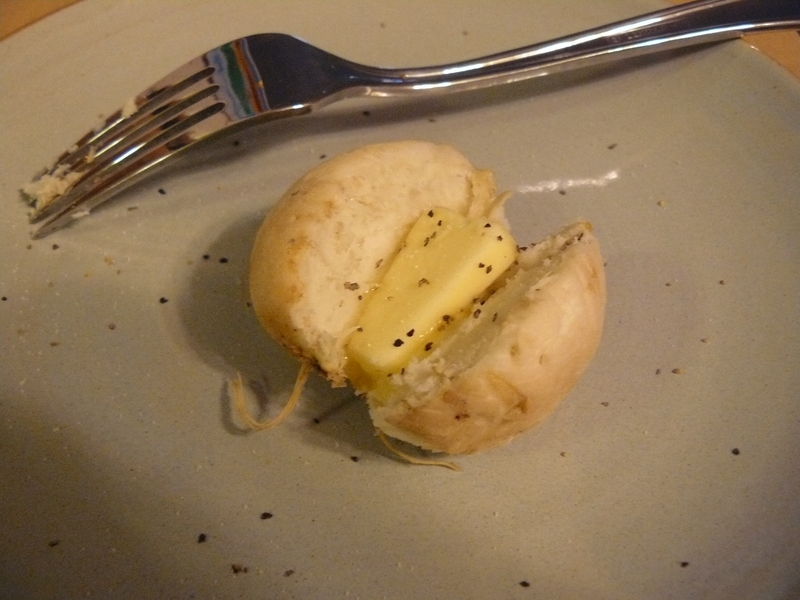 It looked identical to a normal potato you would find in the grocery store. Most of the previous potatoes I’ve found from Ipomoea vines are a bright pinkish-purple color. They come in all sorts of weird shapes more reminiscent of sweet potatoes than baking potatoes. Wrapped with a moist paper towel, ready to be microwave cooked! To prepare this potato for consumption, I washed it thoroughly and wrapped it with a moist paper towel to prevent potential explosion splatter in the microwave. 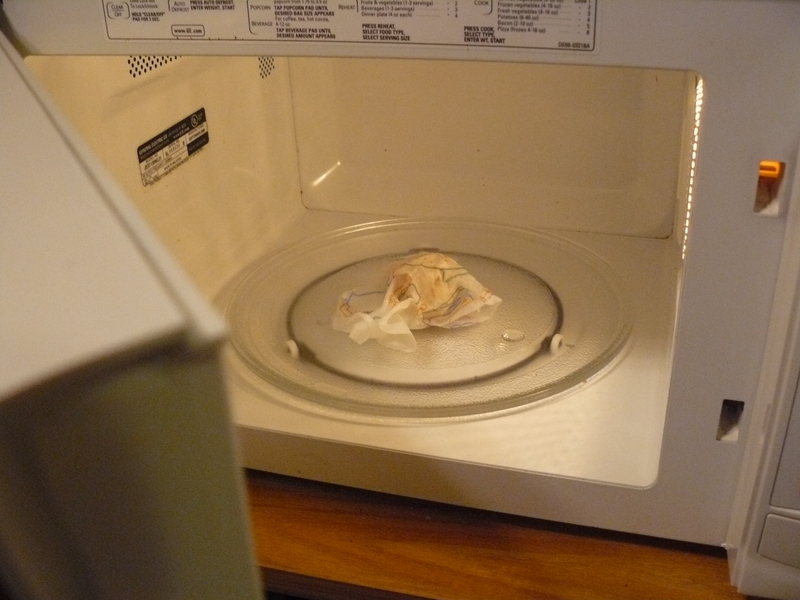 It only took 2 minutes in the microwave to cook very well. I bet it would have been done in a 1 min 30 sec. With the only seasonings of butter, pepper, and salt, the sweet potato vine potato tasted exactly like a normal potato with a few hints of sweet potato thrown in there. While you aren’t going to get a huge harvest from a single sweet potato vine, it’s still fun to eat what you grow yourself, especially after you enjoyed the plant all summer long. Dig in!